CCP elite politics is a black box. SinoInsider is able to decode the black box using publicly available information because we have a deep understanding of the CCP and its operations. Our clients receive timely political risk warnings and are able to better interpret China's political and economic trends. In July 2017, Chongqing chief Sun Zhengcai was removed from his post and investigated by the anti-corruption agency. 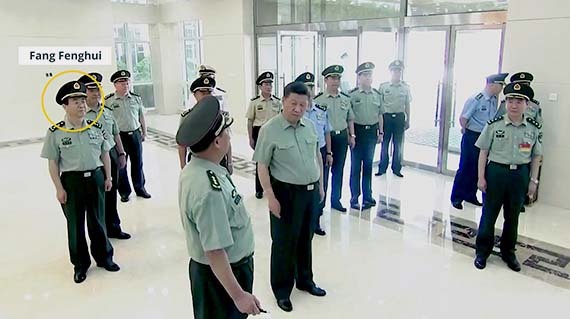 Meanwhile, PLA chief of the joint staff Fang Fenghui and Central Military Commission Political Work Department head Zhang Yang were removed from their posts in late August 2017. Fang Fenghui is officially investigated. The South China Morning Post reports that Fang is closely associated with Guo Boxiong and Xu Caihou. State media announce the expulsion of Fang Fenghui and Zhang Yang from the Communist Party.